An efficient and secured border management is vital for conducting cross-border trade in a smooth and cost-effective way. This is particularly true for the landlocked developing countries which are far away from seaports. Many landlocked developing countries face myriad of problems in terms of border management. Unpredictable rules and regulations, cumbersome trade and customs procedures, excessive physical inspections, inadequate infrastructures and facilities, and lack of cooperation among border agencies within a country and between neighboring countries are common problems. 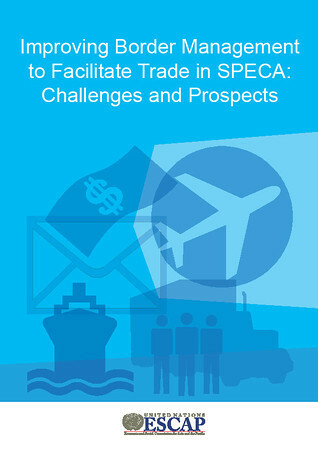 They make cross-border trade costly and time-consuming and hinder trade competitiveness. Border management involves many agencies, such as security, immigration, trade, customs, and transport, sanitary and phyto-sanitary agencies. Given the complexity of the issue, the improvement of border management may entail strong political commitment, active involvement of border agencies, sustainable financial and technical inputs, and maximum use of international instruments. As the outcome of the Seminar on Trade Facilitation at the Border in Central Asia under the UN Development Account 5th Tranche Project, this publication attempts to study border management issues in Central Asia. It is composed of four chapters. Chapter one examines the status of border management in Central Asia, with a focus on four Central Asian countries, namely, Kazakhstan, Kyrgyzstan, Tajikistan and Uzbekistan; Chapter two analyzes, from a regional perspective, the challenges and prospects of border management in Central Asia; Chapter three presents major trade facilitation measures for the improvement of border management, and illustrates with boxes some examples of good practices within and outside the region; Chapter four summarizes the key policy lessons.